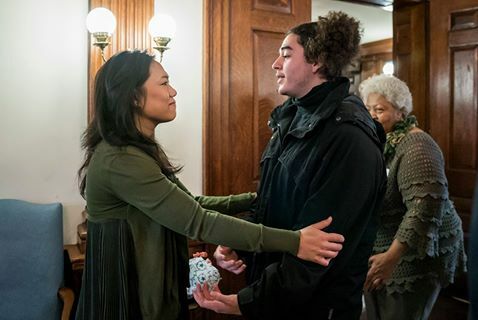 Priscilla Chan visited her alma mater, Harvard University, to share a new grant to give more than 2,000 students financial support to pursue public service opportunities through Phillips Brooks House Association. Priscilla Chan: As a student on financial aid at Harvard University, it was a PBHA (Phillips Brooks House Association) program that made it financially feasible for me to choose service over traditional work-study. I was back on campus today to announce a grant from the Chan Zuckerberg Initiative that will give more than 2,000 Harvard students the financial support necessary to pursue the same sort of life-changing public service opportunities during the school year and over the summer that I had. As daughter of Chinese-Vietnamese refugees of modest means and the first in my family to go to college, PBHA was my home and anchor. I found my life’s purpose in running an after-school program for kids living in a low-income housing development right near where I grew up — serving kids and families that were just like mine. Being on financial aid shouldn’t be a barrier to pursuing opportunities in college that build leadership and careers in public service. We need more public service leaders at the table who represent the diversity of the communities they serve and with the type of life experience that allows them to approach the work with compassion, openness, and respect. We try to live those values every day at CZI. If we are going to work to help address the hardest problems people face, we need to first understand the challenges of their daily lives. PBHA builds leaders that are just that. We’re so proud to be partnering with the Phillips Brooks House Association and Harvard College to give students of diverse backgrounds the financial freedom to pursue service opportunities that will inspire their passion and build their skills as the next generation of leaders in public service.